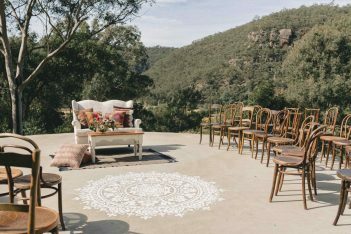 Included in your booking is a personal venue planner, Erica, who will assist you every step of the way throughout the planning process, along with manage your vendors on the day and see the evening through start to finish. It’s this personalised experience and care that makes Three Williams that little bit different. After more info? Read our FAQs right here. FREE Laurent Perrier champagne on arrival for couples booking Winter 2019 weddings. Available on bookings made after April 1st 2019 only. Toby’s first venture was a humble little Kirribilli pizza shop. Nestled under the harbour bridge, he quickly mastered the art of slinging square pizzas and navigating narrow streets late at night on a scooter. Toby loved that pizza shop but he is a dreamer, and his dreams of opening an event space soon became reality when, in 2012, he found the perfect location to open a warehouse venue. In the year to come, with many an architectural drawing later and loads more pizza slinging, Three Williams was born. 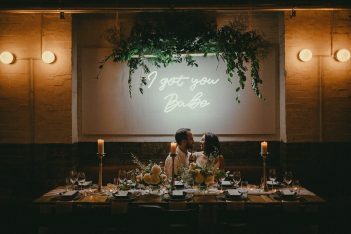 Out of the rubble that was once an old furniture warehouse, in the backwaters of Redfern, Toby created the perfect event space. Trading as a cafe by day, the gorgeously simple, blank canvas venue, has seen many an evening transformation; from intimate dinners, pop up art galleries, cocktail bars, light shows and of course weddings. Anything goes at Three Williams and Toby, along with events manager Erica, are here for you every step of the way. "Eric and I just wanted to give a heartfelt THANK YOU for such a well organised wedding!! We couldn't have asked for more! Seriously! Erica, you are so well organised and made everything so much easier for Eric and I. We have nothing but good things to say about you guys!! The night went by so quickly and everything turned out exactly as we expected. Everyone absolutely loved your staff and especially the food!! We received so many compliments about the food and even a few had said it was the best wedding food they have had!!! It was the best night EVER!! We will definitely be recommending you guys for any future events!! Once again, from the bottom of our hearts THANK YOU!!!!" "We were still buzzing from the wedding party high throughout our honeymoon! What a night it was! It was so much fun, and all our guests couldn't stop commenting about the venue, the service, food, the music - the dance moves especially, and the styling! I couldn't have done it without you - so thank you for everything Erica! 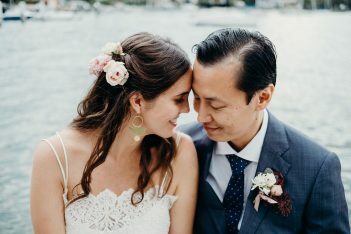 Thank you for making Anthony and my job so much easier with coordinating the big night, particularly when we live five hours away from Sydney. We were never stressed out at all - and I owe it all to you. Really appreciated that you have been able to provide us all the details of the suppliers, and that you coordinated with them closer to the day. Anthony and I keep saying to each other that we want to hit rewind and go back to that night! I'm so glad that you and your staff were able to join us on the dance floor!" "Thank you so so so much for being amazing to work with! The night was so much fun and our friends have been saying it's one of the best weddings they've been to. Everyone had a blast. Thanks for having everything run smoothly. Your staff were amazing and I've had a few guests tell me how lovely and accommodating they were. " "Thank you for everything! Your skill, excellence and friendship made our day so special. It was better than we ever would’ve imagined!" "Thanks so much for hosting our wedding reception and making it everything we wanted it to be. It genuinely was perfect, all thanks to the incredible staff at Three Williams." "Three Williams provided us with the most memorable night of our lives. The communication in the lead up to our wedding was brilliant and we couldn't have hoped for a better night." "Thank you again for helping make our wedding day such a raging success. All of our guests have been raving about the food, drinks, staff and the overall vibe of Three Williams - you guys killed it! Emily and I are both really happy we chose Three Williams, we really truly couldn't fault a thing"